Living a Fit and Full Life: Upgrade the Outlets in Your Home Today with Snap Power! Upgrade the Outlets in Your Home Today with Snap Power! 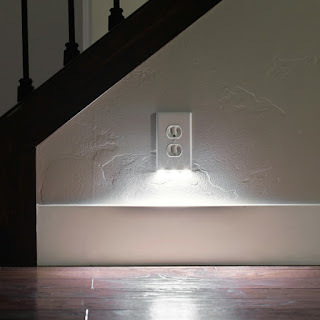 Upgrade the outlets in your home today with Snap Power! SnapPower's Guidelight is awesome! I have 4 kids and all of their rooms are down a long hallway so I decided to place SnapPower's Guidelights down the hallway so my kids could see at night to get to the bathroom or my bedroom. They used to be so scared that they'd just call out for me at night but now they get up and go to the bathroom on their own and go back to bed. SnapPower's Guidelight is extremely easy to install and I love that it requires no wires or batteries. I also love that it leaves my outlets free to use when I need them. SnapPower's Guidelight is an extremely convenient night light that my family and I love! Click HERE to learn more about Snap Power! Follow Snap Power on social media!